Of course, what trip to Japan would be complete without an opportunity to wear kimono? 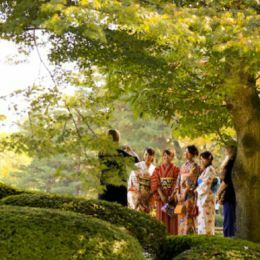 At the Nagamachi Yuzenkan kimono shop, you can buy their famous Kaga Yuzen kimonos and dresses which are made using their special dying process. 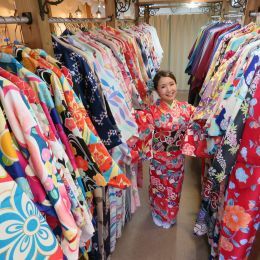 Travelers can even see their many exhibited kimonos on display.